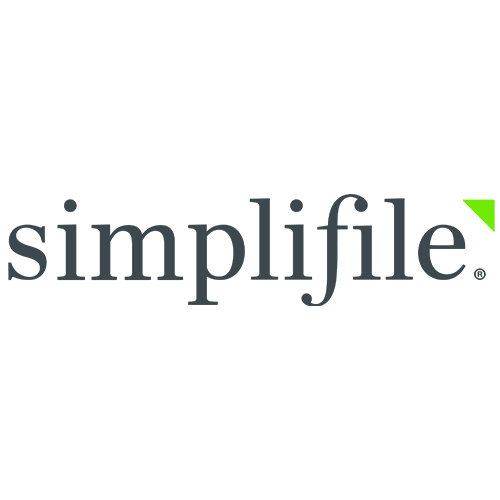 Simplifile is the nation’s largest network for connecting lenders, settlement agents and county recording offices for real-time collaboration and eRecording. Through Simplifile, lenders can securely share, receive, and validate documents, data, and fees with settlement agents. Simplifile gives visibility into settlement agent processes allowing lenders to share changes, updates, deficiencies, and statuses within one system, to audit and ensure compliance. The Simplifile eRecording network enables more than 17,000 settlement companies to eRecord loans in over 1,800 counties, covering over 80% of the U.S. population. For lenders specifically, what innovative services does Simplifile provide? With Simplifile, lenders can simplify closing communication and workflow by working in real-time with settlements agents on documents and disclosures. Settlement agents send documents through Simplifile to counties for e-recording. Lastly, the lender receives final documentation and fees post-closing electronically. How does your partnership with Docutech help lenders execute an end-to-end digital mortgage? Approved by Fannie Mae for eNote and eVault functionality, Docutech’s Solex™ eClosing solution is integrated with Simplifile for a seamless eClosing solution for agents, lenders and borrowers that allows each transaction to be as digital as possible, down to a document and jurisdiction level, while maintaining a standardized process on every loan. With Solex eClosing, borrowers can take the time they need to preview their closing documents in advance of the actual closing and (optionally) eSign any documents that don’t require notarization prior to closing. Once the borrower has reviewed the closing document package, the closing agent and borrower can complete the eClosing electronically, with full eNotarization capabilities. Once the closing is complete, closing agents can electronically submit documents to counties for recording. The recorded documents and data along with other trailing documents will then be electronically returned to the lender. What do you feel are the most exciting developments in the mortgage industry? Simplifile is working every day to advance the mortgage process closer to a fully-electronic, seamless, and secure mortgage experience for everyone involved. By eliminating physical papers, wet signing, or in-person notarization, we can shorten closing times, reduce costs, and give everyone in the process more peace of mind. How will Simplifile and Docutech help lenders in their transformation to digital processes? Docutech’s Solex eClosing has been designed with the end goal in mind. As the electronic mortgage process continues to evolve and lenders increase adoption of electronic processes our combined eEligibility engine analyzes each closing package to be as “e” as it can be, according to state, county and investor variations. And as the majority of eClosing are hybrid today, our hybrid eClosing options include eSigning of ancillary documents, plus options for MISMO® SMART Doc® eNotes, eNotarization and eRecording.